Five craters have just been discovered on the surface of Mercury, and NASA is asking the general public to provide or suggest names for the craters. Not every name can be considered though, because NASA has outlined some conditions that must be fulfilled before any given name can be considered. Anyone can suggest a name, but the names must be that of artists that were famous for 50+ years, and of artists that had been dead for at least three years. This naming contest is to honor NASA’s Messenger mission to the solar system’s inner-most planet. NASA’s Messenger has traveled over 8 billion miles to orbit Mercury, and it has been orbiting Mercury since 2011, having been in space for about a decade. It is the first space robot to orbit the planet closest to the sun – and it has been sending photos and scientific information about the planet since then. 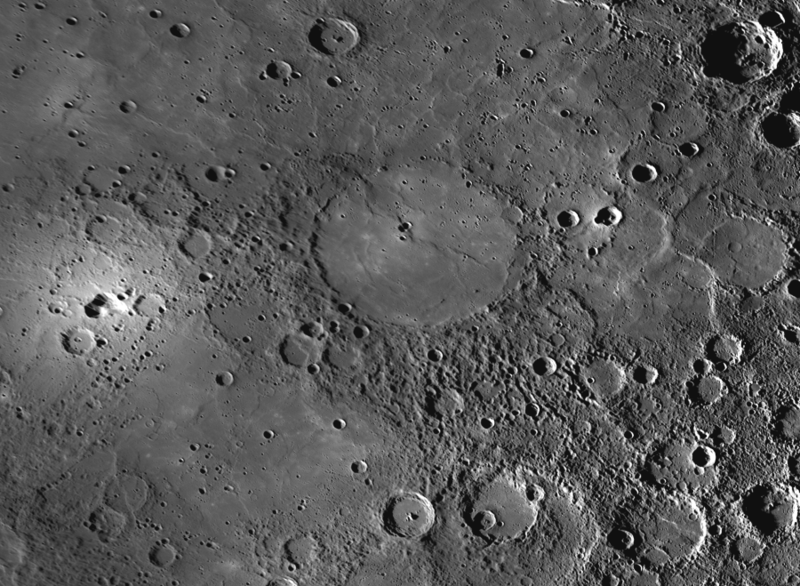 Through the help of Messenger, scientists now know that there are deposits of water ice within the craters of Mercury, but these are shielded from direct sunlight which is just close by. Researchers also understand through data sent in by Messenger that lava eruptions and volcanoes have changed the surface of Mercury to what it is now. For those interested in sending suggested names for the five craters discovered on Mercury’s surface, they have until January 15, 2015 to do that; and following this, top choices will be sent to the International Astronomical Union for a final choice of names from among the collated list. The IAU is the agency that manages the naming of objects in space.